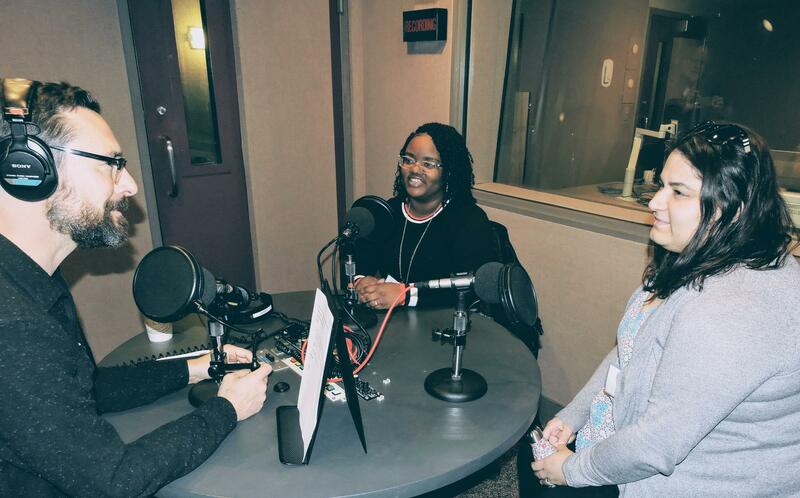 Mentor-mentee pair Lauren Moeser and Kayla Malone discussing their work together at WYPR studios. Have you ever had a mentor? Have you ever been a mentor? In either case, mentorship can be a powerful experience for everyone involved. Today on the show we’re going to be looking at the impact of mentorship – professionally, personally, and academically. Having a mentor can be a total game-changer for a young person who doesn’t have a lot of other resources. It’s also a really effective way for an older person with resources to make a major and direct difference. We'll meet a mentor-mentee pair, talk about Baltimore City's YouthWorks program (and how you can apply), and speak broadly about how we can change our assumptions about mentorship when it comes to age, race, and socioeconomic status.